Panaeolus cinctulus is highly likely. @SayN If you care, these are now known as P. cinctulus. 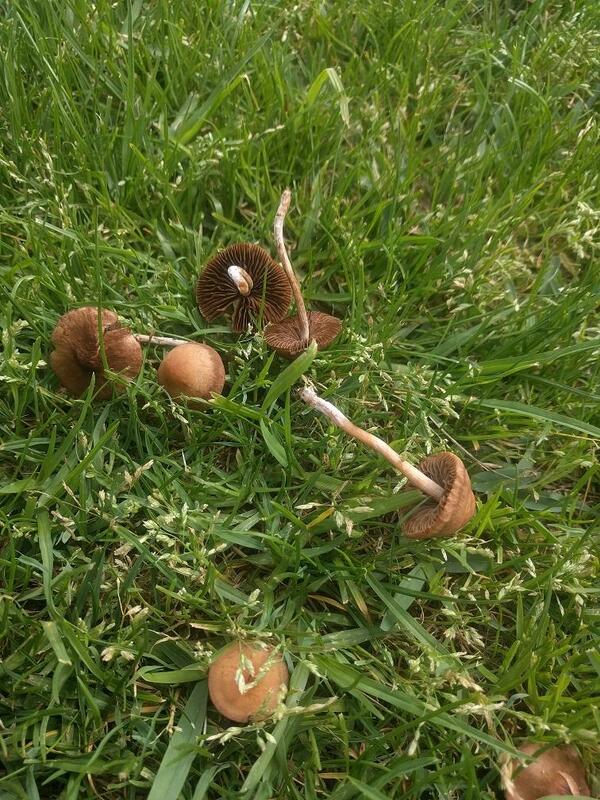 I found an abundance of these in my local park, are they panaeolus cinctulus? 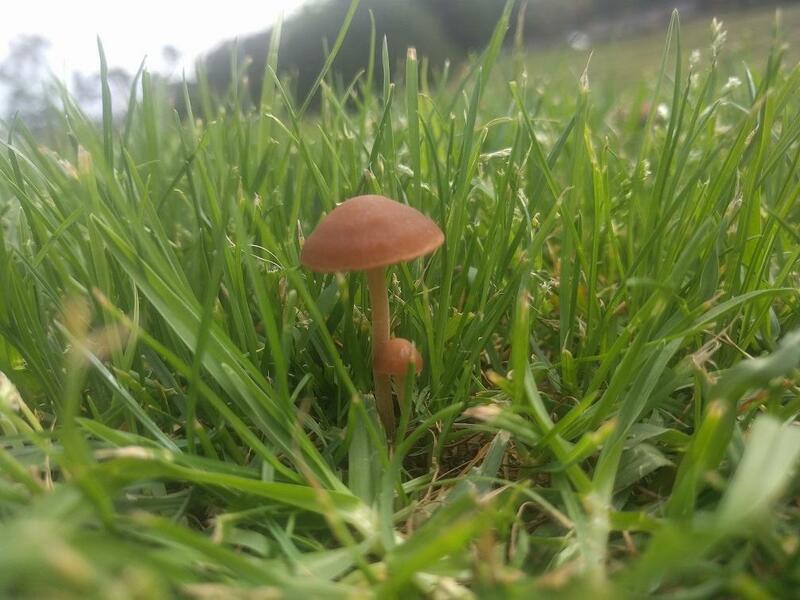 that's the closest ID I've found so far, but I'd like to be positive before I go out and pick them. I'm quite sure that these ones are Panaeolus foenisecii. They will have Brown coloured spores. You can check this by doing a spore print. You do this by cutting the cap off the stem and then placing the cap onto some tinfoil or white paper for at least 6 hours. After this time you remove the mushroom cap and there should be a spore deposit left on the paper. Panaeolus cinctulus will have Black spores. hey thanks for the help, you were spot on my friend!